The fiber in Chlorella acts like a sponge and binds with heavy metals and radiation to remove them from the body. Chlorella was used in 1946 – 48 Hiroshima and Nagasaki to help remove radiation from those who had incurred radiation poisoning after the atomic bombs were dropped there in 1945. Radiation from the Fukushima nuclear power plant disaster is getting worse, not better as detail in A Story of Nuclear Disaster. We set up a new Radiation Awareness and Removal website and a Facebook page to monitor radiation and provide options on how to remove radiation from the body, as well protect it. 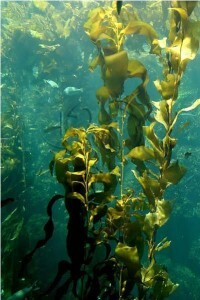 Brown Seaweed Extract is the third most powerful on Earth. Alginate found in Brown Seaweed Extract (kelp) is a natural absorbent of radioactive elements, heavy metals and free radicals. It has the unique ability of binding heavy metals and radioactive elements to its own molecules. Since Alginate cannot be broken down by bile or saliva and be absorbed by the body, it is secreted from the body together with the heavy metals and radioactive substances. Iodine found in Brown Seaweed Extract helps protects against thyroid disease due to radiation exposure. No other food in the world contains significant amounts of iodine as Brown Seaweed Extract (kelp). You can also take Angstrom Iodine for your thyroid. Chlorella and Brown Seaweed Extract can also remove heavy metals and other toxins from the body. 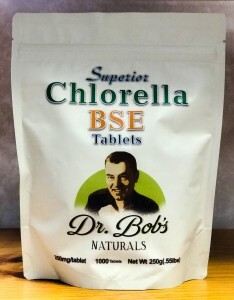 We offer Chlorella and Brown Seaweed Extract in tablet form, as well as other natural products that can remove radiation.